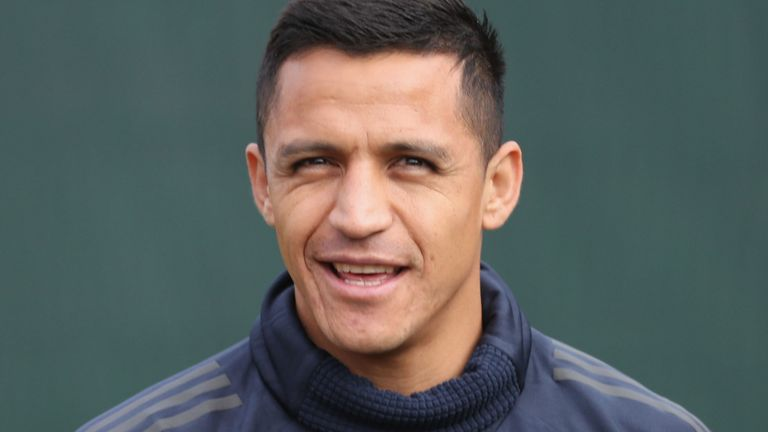 Ole Gunnar Solskjaer says Alexis Sanchez will return from injury against Newcastle and is “champing at the bit” to finally show Manchester United fans what he is all about. A lot has changed at Old Trafford since the 30-year-old’s last appearance five weeks ago. Lied low by a hamstring injury, Sanchez watched on as Jose Mourinho lost his job after United went on a downward spiral that Solskjaer has got them out of in some style. The Norwegian has overseen three straight wins and a 12-goal haul since taking over as caretaker manager, bringing hope and optimism back to the club entering 2019. United kick-off at Newcastle on Wednesday evening, when Sanchez is in line to make his first appearance since November and start making amends for a dreadful first year at Old Trafford. Sanchez adds another dimension to United’s improving attack, which is finally displaying the kind of confidence and freedom fans became accustomed to under Sir Alex Ferguson. Solskjaer is putting the lessons learned under the Scot to good use and still leans on his mentor, who was at Saturday’s training session on the eve of the 4-1 defeat of Bournemouth.